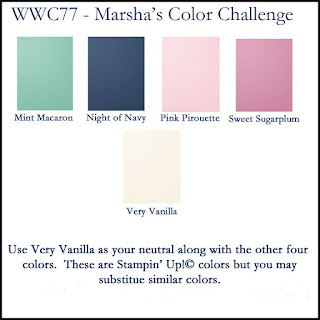 Marsha thanks for hosting this week's Watercooler Wednesday challenge, and your beautiful choice of challenges. Love that colour combination. I really like the Jar of Love stamp set and it's versatility. You've really show cased it nicely in this card. Thanks, Penny! These are some of my favorite colors even though I rarely use pink. 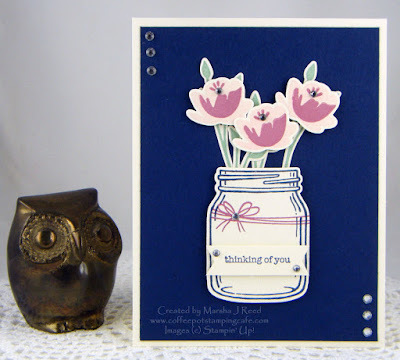 That Jar of Love stamp set is my favorite.